February Maker Monday: Where's the Raspberry PI? but we're not talking about tasty pastries. This month's feature presenter, Jim Kennedy, has explored the applications of Octoprint software on the Raspberry Pi. 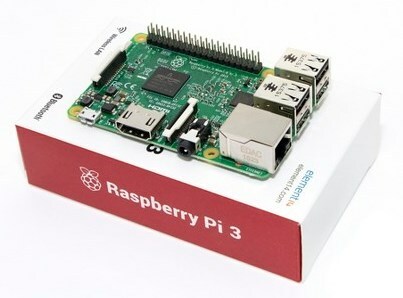 A Raspberry Pi is a credit-card sized computer that can be used for a wide range of maker projects. Octoprint software allows you to use the Raspberry PI to remotely perform and monitor all aspects of your 3-D Printer. Jim will provide a demonstration on his 3-D Printer and discuss our plans for an upcoming workshop. As always, the second half of Maker Monday is a Repair Cafe for anyone having trouble with their machines. Let's troubleshoot together. Our volunteers will be on hand and ready to help.